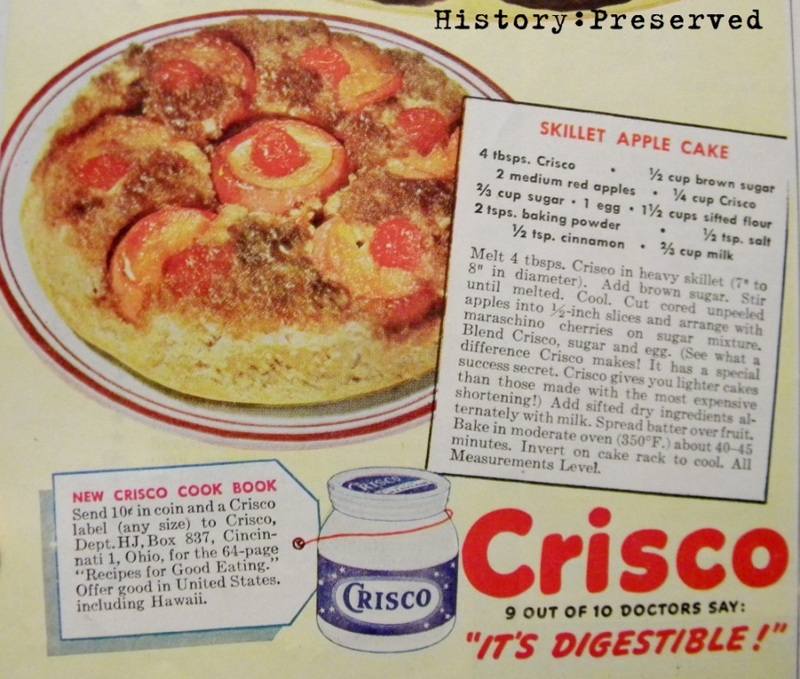 For Day 19, I'm posting the full Crisco ad from the November 1944 issue of Ladies Home Journal. Back on Day 12, I posted about the Fried Stuffed Eggplant, and now I wanted to feature the Skillet Apple Cake. Doesn't Skillet Apple Cake sound super yummy? 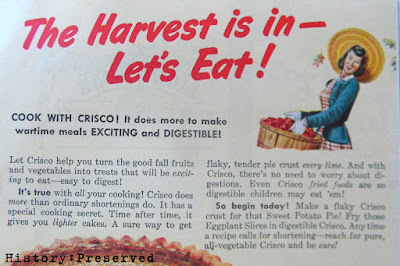 1940s ads like to talk - a lot. They offer full explanations about why their product is the best. It's a very different tack than the advertising used today, but I can tell you that it's still pretty effective. If anything, many of the ads are endearing and humorous, besides just being downright cool with 1940s vintage. I loved the little illustration showing the woman carrying in the apple harvest with autumn leaves blowing in the air. Apples picked in October and November are the best!